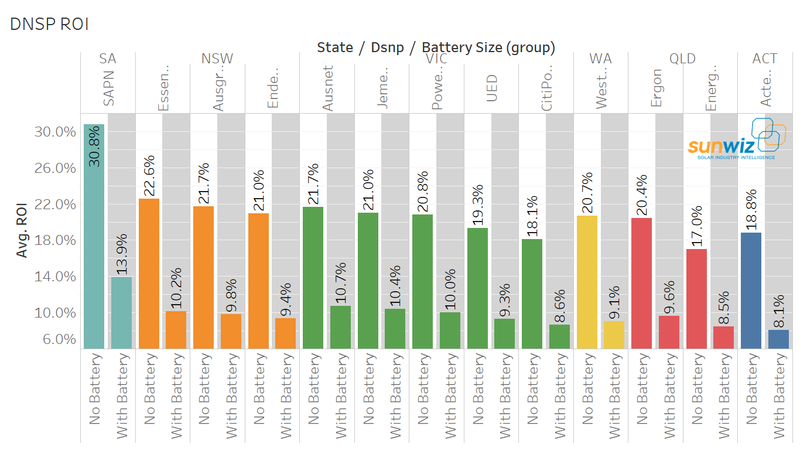 After an extended period of research, SunWiz has released its much-anticipated Australian Battery Market Report for 2018. As Australia’s leading provider of solar market research, SunWiz’s position of a trusted independent market analyst means top companies trust us and have shared their information and unique insights. This report provides unprecedented transparency into what is otherwise an opaque market. 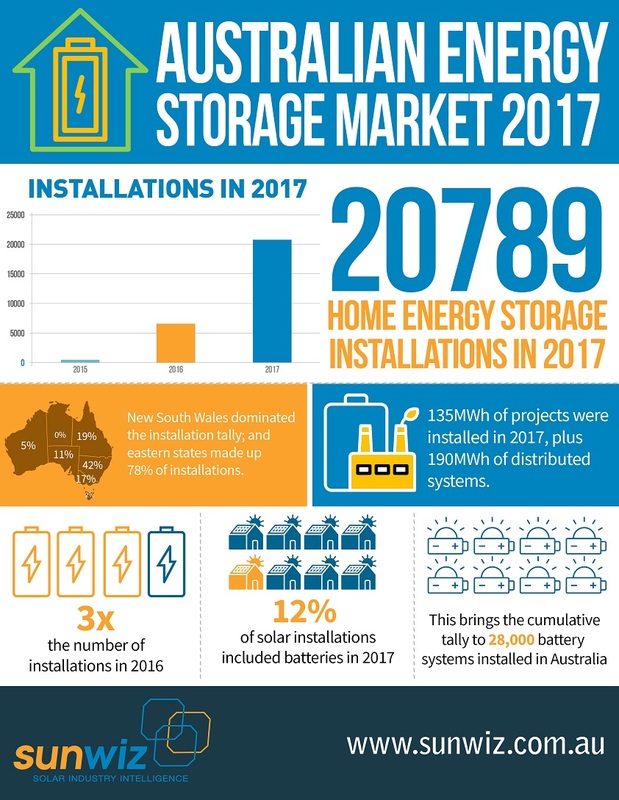 There were 20,789 energy storage systems installed in 2017, a three-fold increase on the 6750 installed in 2016. 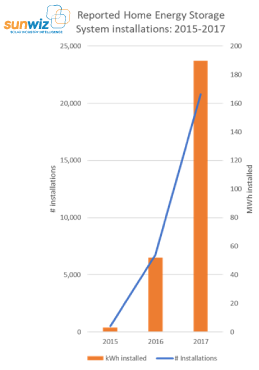 135MWh of projects were installed in 2017, plus 190MWh of distributed systems. 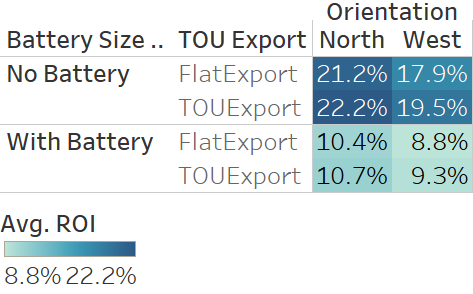 The TOU FiT is more valuable than the flat-rate FiT, for PV with or without batteries. North-facing still has a better outcome, with or without batteries, whether on TOU or flat-rate FiT.